2018 isn't over but most of Goldman Sachs' top trades of 2018 are. Last November, the firm released its best ideas for the year and let's just say they were wrong about a few things. 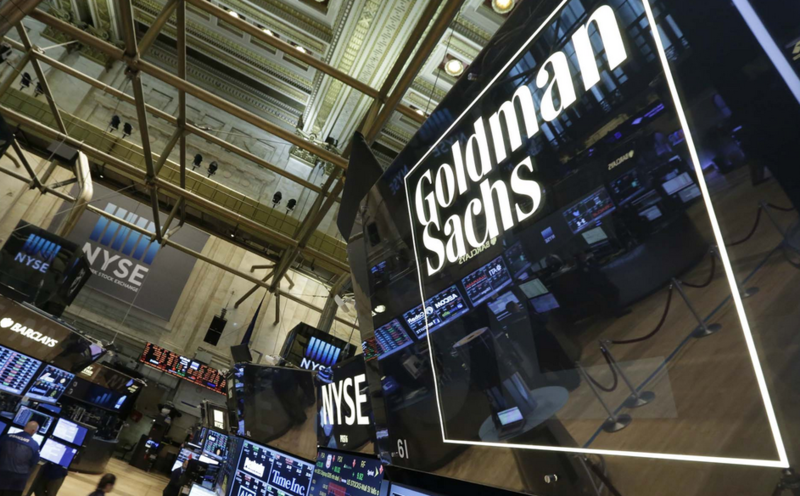 Goldman offered seven trade ideas for the year. 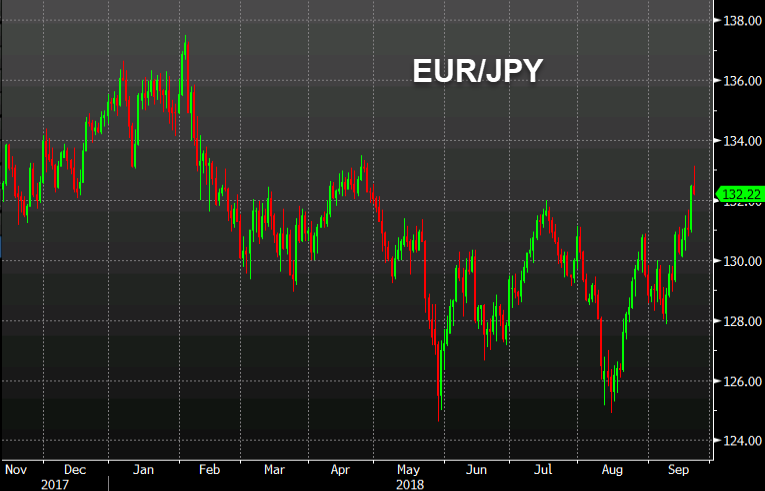 EUR/JPY was trading at 133.40 when it was recommended but they booked it at 132.00. We'll give them the benefit of the doubt on that. In any case, the target was 140 and it started out well enough with the pair hitting 137.50 in February before hitting the stop at 130 on March 1 and crumbling down to 124.87 in May. Lo and behold, the trade is back to square. Result -1.4% -- at least they had a tight stop. This one irks me. Goldman forecast the index would rise 15% this year. It started out well enough and was up by as much as 13.75% in January. They entered the trade at 1125 and risked 8%, which would put the stop at 1035. On that, they were stopped out. However at some point they tried to blur the lines and moved the stop down to 1000. That too was stopped out when the index hit 998.67 earlier this month. However the dip down there was brief and it's back to 1037 and Goldman is pretending they were stopped out a second time in an 11.1% loss and a trade that broke a cardinal rule about lowering stops. This wasn't exactly a trade that many retail investors would be interested in and I don't have the exact parameters of the trade. but I assume it's a 5y5y swap rate. It was at 1.67% at the time of the trade, rose to 1.77% and is now back to 1.69%. The target was 2.0% and stop was 1.5% so it's stayed in the range. Basically, this trade was dead money for a year. They were betting on eurozone inflation rising but aside from what was already priced in, it hasn't. Sometimes a pair trade can save you from being totally wrong; other times it just makes you doubly wrong. The JPMorgan core emerging markets global bond index is down 7.1% this year while the Barclays US high yield index is up 3.4%. There was 4% of positive carry but it wasn't nearly enough to cover these kinds of losses. I'm not sure how they weighted the volatility but it doesn't matter because the Brazilian real was crushed. At least they avoided the Argentine peso. The core idea here was the industrial metals would strengthen but they're down about 8%. There's plenty of irony here. In 2017, Goldman's trade was for a stronger US dollar but they were stopped out in April of that year. This time they were short the US dollar it has outperformed everything but the Swiss franc. Naturally, the main lesson is 'be right' but there are three other things to take away here. 1) A year out is tough. Six out of seven trades are down, flat or stopped out. However, early on most of them were in the money. If this had been 'Seven trades for the next 3 months' it would have been a winner on almost every front. Predictions are tough and they get tougher the further you look out. For big, global macron trades a three-month horizon is reasonable, longer is much tougher. 2) No one knows anything. That's something I've been writing for years. Part of human nature is to seek out authority when there is uncertainty. Goldman Sachs is a financial authority and the people who came up with these ideas are high paid but the best trade ideas rarely come from authorities, especially when they're hatched in groups. Some of these ideas where better than the performance of the trade. The best trade was shorting bonds on the Fed hiking four times this year. It was the simplest idea of them all. Best of all was Greg's idea at the bottom of the review when we first wrote about Goldman Sachs' ideas. Buy FANGs he wrote. Return on FANGs: +38.9%. It goes to show...attack the trends.